To us, there is nothing better than seeing someone feel stronger, move better, or run harder. Our team is passionate about training and the benefits it brings to your life. We believe that everyone deserves to feel strong and able and thats the feeling we aim to give to all our clients. An incredible community has grown with SOF and we are so lucky to be amongst the sweat, sets and reps with you every single day. Want to know more about the team? Check them out below! I’ve always been an active individual from my early childhood, which has moulded my beliefs around the core values of mental strength, teamwork and continual improvement. I’m a very competitive person and a strong believer in bringing the best out of someone, both physically and mentally. I believe in hard work, respect and continual efforts to improve in all aspects of life. I’ve never believed in fad-diets or 8-week challenges because your journey starts the day you were born and finishes the day you die. Health and fitness isn’t a short-term transformation, it’s a lifetime of improving, learning more and failing better than you did last time. I believe in chasing your dreams and making your goals a reality, not waiting for something to happen, but making it happen. I’m your friend, first and foremost, who passionately enjoys seeing others succeed. I’m happiest when I see the smile on the face with somebody I’ve worked with and I’d be humbled to have the opportunity to work with you. I believe in ambition and aiming higher than you think is possible. I have always strived to succeed and I have always loved making other people happy. I take great pride in doing the best that I can in everything I do and I’m totally dedicated and focused on improvement. It is my passion to help others realise their true potential through the gift that is health and fitness. Dedication, ambition and strength of character are attributes that I value personally and admire in others and I truly believe that health and fitness is the greatest development tool to improve these values. I was taught to always appreciate what I have, to never take health and fitness for granted, to be better than yesterday and to enjoy the journey. Being a student, friend and health coach, I see it as a privilege to work with people from all walks of life in an endeavor to achieve a common goal. It is my honour to work with people who give me an opportunity to bring happiness and self-confidence into their lives and it would be my sincere pleasure to work with you. 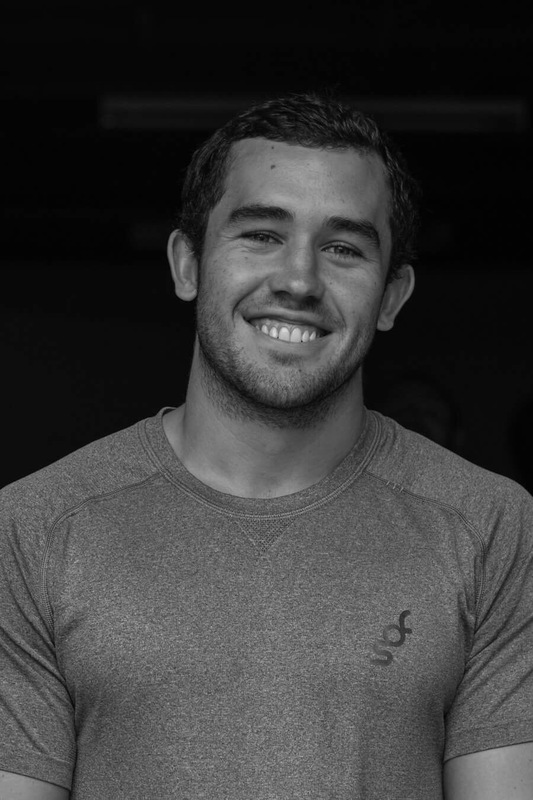 With 5 years experience in the health and fitness industry Kieran brings a wealth of knowledge to the SOF team. He is a qualified and ESSA registered exercise scientist with a Masters in strength and conditioning. Additionally, he has developed skills in a myriad of practices with his major passion being movement. He has studied under legendary figures in the industry including Ido Portal, Dmitri Klokov and currently Prof Gregory Haff. Kieran’s experience spans across the industry, from clinical populations to elite sporting teams such as the Western Force. Kieran has a deep passion for improving people lives with physical movement. Kieran heads the trainer development and elite programs at SOF. He is also works with clients on rehabilitation for return to sport or physical pain management and improvement. 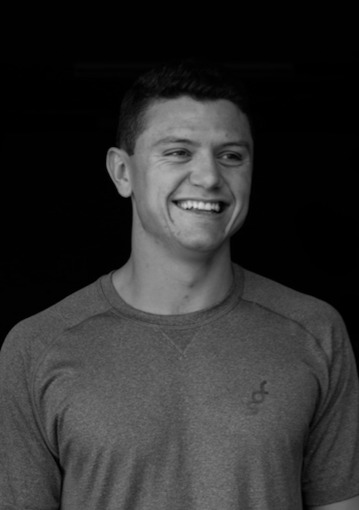 Kieran believes that the roll of health and fitness is becoming increasingly important in the modern world and is a crucial part of an individual’s life. I am a big believer in moving and staying active. I find that through regular and consistent training, results will follow. I've always enjoyed following a planned and structured routine as I use this to achieve consistent improvement. I still enjoy playing social sport and as such I place an importance in moving functionally, avoiding injury and enjoying what you do. Using a variety of different types of movements and diversity in different forms of training we are able to maximise our overall strength and mobility. While it's not always easy, I love seeing small continuous improvements that add up to greater things. To me, the gym is a great place to relax and let go while pushing yourself to your limits and developing along the way. This is the focus I try to impress on my clients. Challenge yourself and be surprised with the results! Most importantly enjoying what you do is everything. Did you know? Declan has a passion for aviation and one day aspires to fly globally. I grew up in a house full of sports nuts and quickly became a jack-of-all sports (master of none). Through sport, I found an appreciation of moving around at a very early age. I have maintained this love of sport, fitness and general moving into adulthood - so much so that I dedicated four years towards studying a bachelor of sport and exercise science. I have been in the industry for just under three years now as a strength and conditioning coach at Nudgee college, which has allowed me to be involved in athletic performance for a variety of different sports. As someone who has been training for many years now, I know how rewarding and beneficial exercise can be and I want to make it my mission to get others to share this passion and enjoyment for movement. I'm a firm believer that exercise not only benefits you physically but also mentally. It teaches you important skills such as discipline and perseverance, and who doesn't love those endorphins you get when the blood is pumping to your muscles?! Starting here at SOF is very exciting for me as it has given me an opportunity to be surrounded by like-minded, supportive people who I continue to learn from and provide a wonderful environment for people of all ages and athletic abilities to work towards their goals. I was always playing a different sport before settling into a solid 6 years of Rowing. After soon realising I had picked one of the toughest exercises to pursue, I saw the importance of teamwork and camaraderie and the effect it had on my ability to physically and mentally push myself and others. Rowing also introduced me to the inside of a gym - a love of mine that I have seen almost every day since! When Uni. rolled around I decided to put this fitness obsession and my ability to talk to pretty much anyone to good use and study Exercise Physiology. Now, 4 years later I am an Exercise Physiologist with a developed interest in the brain and the spine. I am a true believer of ‘exercise as medicine’ and am excited to share everything I have learnt to make a long term difference in peoples lives living with chronic conditions, whether they are 17 or 70. I love seeing my clients progress across the weeks and there is nothing more rewarding than your appreciation and respect. When not at the gym I am sipping a long black, enjoying a cheeky cocktail, listening to some live music or cooking up a storm in the kitchen. If you’re someone who equally likes a challenge as well as a good chat, I’m your gal! As a result of my upbringing, sport and physical activity has always been a major part of my life. I was the classic cliché of wanting to grow up ‘just like my parents’ and play competitive sport . After trying out for everything under the sun, I finally found my love for touch football. I enjoyed the social, yet competitive side of team sport and after years of dedication, I have been fortunate enough to represent Australia for the past 4 years. From this experience, I have learnt that with hard work and having awesome, like-minded people around you, there is nothing you can’t do. My training philosophy is simple and straightforward; just get it done. I’m a staunch advocate for disciplined training and I believe that when you recognize that your only limit is yourself, you’ll be well on your way to smashing your goals; whether they be in the gym, on the sporting field or in day to day life. Just be honest, don’t cheat the reps, give it your all, and reward yourself with a ‘coffee, cake and chat’ at the end.